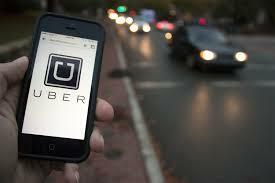 Does Uber Really Help Reduce DUIs? When Uber wants to move into an area, one claim it often makes is that its service will cut down on the number of DUIs. The reasoning is that people who have consumed enough alcohol to risk charges of DUI in Los Angeles and other cities would rather pay the lower Uber fare than go to jail. But researchers from the University of Oxford are disputing such claims. A study in a recent issue in the American Journal of Epidemiology found no noticeable impact on the number of DUI driving fatalities in cities where Uber operates. David Kirk and Noli Brazil analyzed the DUI driving statistics from 2009 through 2014 in the 100 most populated metro areas in the U.S. They found no change in fatalities when Uber came into the market, even during peak drinking hours.